The following is a guest blog post by Michelle Sherman. Michelle is the author of Winning with Social Media—A Desktop Guide for Lawyers Using Social Media in Litigation and Trial, a 2016 publication from the National Institute for Trial Advocacy. She has tried civil and criminal cases and is currently an in-house corporate legal counsel. She also is an adjunct professor at the University of Southern California Annenberg School for Communication and Journalism. For anyone who likes to wake up on a Sunday by reading the newspaper, it’s a sad day that legitimate news organizations are under attack and the term “fake news” has become associated with them. Beyond the personal implications, this may also have negative effects on your law practice. More skeptical jurors may mean that you have to work harder to authenticate documentary evidence, particularly social media evidence. “Fake news” was originally used to describe prepackaged segments that public relation agencies would produce and then get placed on local news to shift public opinion on behalf of a political party or elected official. The New York Times reported that under the Clinton and George W. Bush administrations, at least 20 federal agencies made and distributed hundreds of television news segments without disclosing the actual source of the news report or that the “journalist” behind the story was being paid by a government agency. 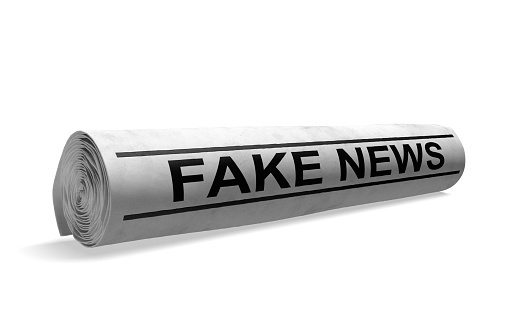 But now the term “fake news” has morphed and is being used to cast doubt on any news story that’s viewed as critical of the federal government or elected officials. This cynicism has gained traction and is likely already bleeding into the courtroom through impaneled jurors who are more skeptical of evidence presented at trial. This makes it even more important that lawyers think early on about how to authenticate their documentary evidence. One type of document that’s especially susceptible to attack is a document showing social media activity. It’s easy to imagine someone arguing that their social media account was hacked; that someone else posted the damaging picture or comment; or that the social media account doesn’t even belong to them. The proponent of the evidence needs to anticipate these arguments. Use written discovery and depositions to have parties and witnesses authenticate the social media evidence. Ask questions along the lines of: (1) Admit that this is a true and correct copy of a social media post that you made on [social media site] on [date]; (2) For each social media post they refuse to authenticate, ask them to explain all reasons for denying the genuineness of the post and what actions they took to remove or distance themselves from the social media post; (3) Ask them to authenticate social media posts proximate in time before and after the social media post in dispute (this will help show that they were probably aware of the post and did nothing to delete it). In discovery, ask the witness to produce a copy of all social media content that’s discoverable and then use the produced pages at trial. Using the Bates-numbered copies, list them on your trial exhibit list and use those copies at trial. A court is likely to overrule any foundation objection when the offered evidence was produced by the witness. Think about friends and connections who may be third-party witnesses who can help authenticate the social media evidence. Ideally, they’ll be connected to the party on the social media account, i.e., Facebook friends. The witness can offer circumstantial evidence that demonstrates the account and social media post(s) belong to the party. The witness can highlight use of shorthand expressions, nicknames, slang, use of emojis, or other conversational tics that are particular to the party and also appear in the post at issue. Or, if the post is a picture that includes the party’s friends or family members, you can use them to authenticate the post. To get you started, here are two cases in which authentication wasn’t done correctly because the wrong witness was used, but there is an excellent discussion on how to authenticate this kind of evidence: Griffin v State (Md App 2011) 19 A3d 415 and U.S. v Barnes (5th Cir 2015) 803 F3d 209. Look for indications that the party was aware of the post and took no action to publicly deny it or have it taken down. Through written discovery or depositions, find out how the social media account is set up to see if the party receives an email alert when someone posts a comment, and confirm that alerts are sent to one of their email addresses. You can get answers to these questions by either asking them directly or asking the witness to produce screenshots of the relevant account setting pages from the social media account. Now for some good news: Social media evidence can help you win cases for your clients. You just need to take your time to authenticate your social media evidence to overcome the “fake news” mindset and not let it undermine how much weight jurors will give it when they deliberate your case. Learn how to authenticate social media evidence in CEB’s Effective Introduction of Evidence in California, chap 54. Effective Introduction of Evidence in California is part of CEB’s OnLAW Litigation Library.